Left: Nicole Houde as Miss New Hampshire USA 2010. Right: Houde's mugshot. 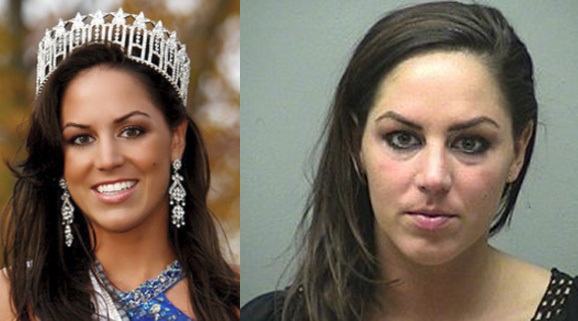 MANCHESTER — The former Miss New Hampshire USA is facing a simple assault charge in Manchester, according to police. Police say 26-year-old Nicole Houde punched, kicked, scratched and bit her boyfriend 33-year-old Scott Nickerson during an argument on Wednesday. That argument reportedly began when Nickerson accused Houde of having an affair. At some point, Nickerson took her cell phone and wouldn’t give it back. That’s when police say Houde attacked him. Houde won the Miss New Hampshire crown in 2010. 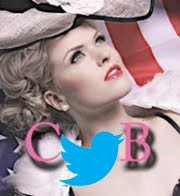 She’s not the first 2010 Miss USA contestant to land in legal trouble. 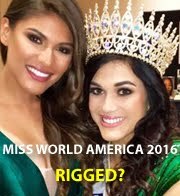 Earlier this month, 2010 Miss USA pageant winner Rima Fakih pleaded no contest to drunk driving charges. The Miss USA pageant is owned by Donald Trump.